Are you searching for the perfect place to host your holiday party? Maybe your family gatherings have become too large for your home, or maybe you’re in charge of planning your workplace party. Camden Cocktail Lounge is just the party location that you’ve been searching for. When you book your holiday party at Camden, you’ll enjoy countless benefits. Want to enjoy a special night with your closest friends? Looking for a venue for your work holiday party? Let Camden be your destination. We can accommodate a variety of private events, and offer a luxurious, contemporary setting where you and your guests can celebrate. For a limited time, and in keeping with the holiday spirit, we’re offering special gifts to anyone who books their holiday party by November 15th. Choose from a $150 gift card, a complimentary champagne toast for your group, or a 15% discount on your food and beverage order. It’s our way of saying thanks for choosing Camden for your holiday party. Conveniently located right within the Palms Casino in Las Vegas, it’s easy for your guests to find and get to Camden Cocktail Lounge. Whether you’re meeting up after work or are getting together on a weekend, there are plenty of activities to do locally before your holiday party begins. We offer a contemporary yet welcoming lounge that is spacious enough to host parties of many different sizes. Our opulent décor will instantly elevate your holiday party, making it an event that all of your guests are sure to remember. When you’re hosting a holiday party at Camden, you can’t go wrong with any of the delicious choices on our group menu. We offer a huge variety of options that can accommodate different themes, dietary restrictions, and budgets. You can pick and choose to create the menu that works best for your guests. But there’s no need to worry too much about your menu choice, either – all of our dishes are absolutely delectable. 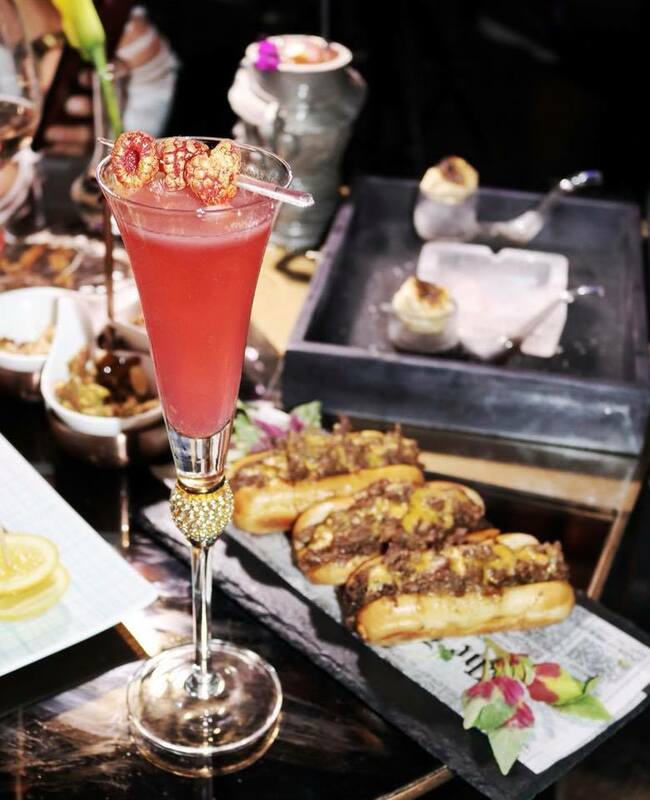 Start off the evening with a selection of passed hors d’ouevres, such as our Maine lobster rolls, coconut shrimp skewer, or mini sirloin sliders. Or, maybe a displayed appetizer, like our artisanal cheese or our seafood display is a better fit for your party style. Next, treat your guests to salads or pastas, and choose from main dishes such as our chicken picatta or bacon wrapped pork loin. Carved meats such as our honey mustard roasted turkey breast or roast beef tenderloin are always huge favorites, especially when paired with sides including au gratin potatoes or macaroni and cheese. Want to change things up a little? Our creamy white cheddar mac-n-cheese station is a big favorite, or you might want to try our risotto station or kabob station, too. No party is complete without dessert, and that’s why we offer plenty of options including mini cupcakes, cheesecake, a cookie jar, s’mores, stuffed doughnuts, and more. The choices are practically endless, and your party is sure to be the talk of the holiday season. You can even customize the bar offerings to fit within your budget and party needs. Choose from one, two, and three-hour bars, and decide whether the Premium Bar Packages or Super Premium Bar Packages are right for the crowd. Our Premium Bar Packages include a variety of premium brands such as Absolut, Tanqueray, Crown Royal, Johnny Walker Black, Jim Beam, Jack Daniels, Captain Morgan, and much, much more. Or, step things up a notch with our Super Premium Bar Package, which offers brands such as Belvedere, Ciroc, Don Julio Silver, Wild Turkey, Woodford Reserve, Bacardi Select, Jagermeister, and more. 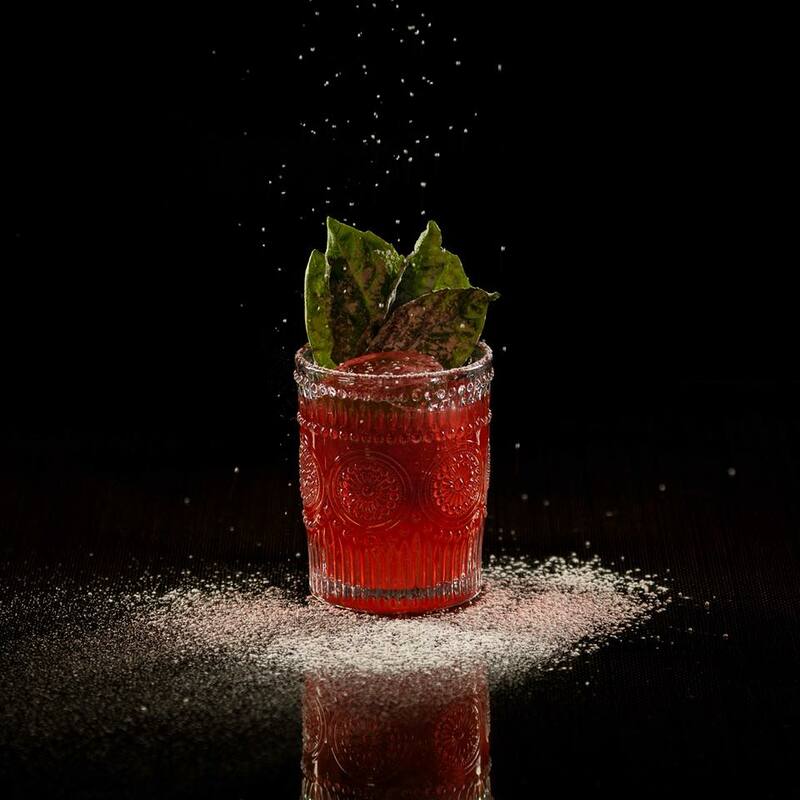 Want to enjoy Camden’s specialty cocktails? You can add them on for an additional per-person cost. Just think of how hosting your party at Camden will relieve your stress during the busy holiday season. There’s no cleaning or cooking to worry about. And you won’t have to fret about finding the right venue, then hiring the right caterer and hoping they work well together. And décor? We’ll take care of that, too. At Camden, we can take the stress out of hosting a holiday party. All you need to do is select the menu items that you’d like to offer your guests, reserve your party date and time, and then sit back and relax. You’ll actually get to participate in the party, rather than worrying about the nuances of hosting. What better way to enjoy the holiday season? Don’t wait, though – we’re booking up fast, and need your reservation by November 15th. 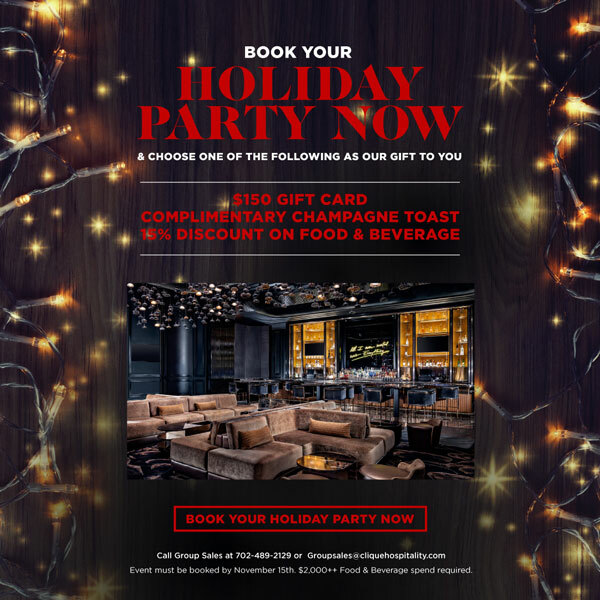 Call Group Sales today at 702-489-2129 to host your holiday party at Camden.